The lack of meaningful progress in terms of substance in Myanmar’s peace process is partly due to the government. 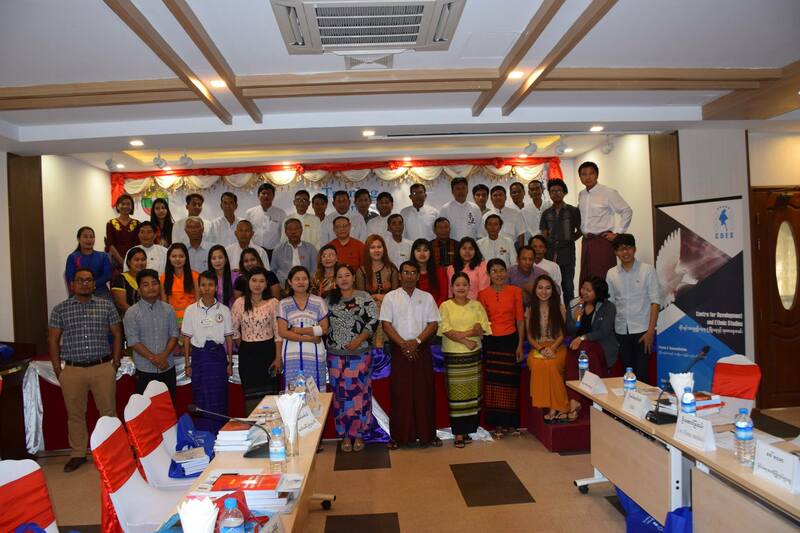 If the government still commits to achieving its objective of adopting federal and democratic principles with other stakeholders in the political dialogue through the 21st Century Panglong Conference before the general elections in 2020, it must thoroughly review its own peace-related committees – the National Reconciliation and Peace Center (NRPC) and Peace Commission (PC) in particular – and implement necessary reforms. Once reformed, the committees must have sufficient resources, especially in the field of human resources. When we observe the actual operations of the government’s peace teams since they came to power in 2016, there are two major problem areas that need to be reformed. The first problem is the non-inclusion of top government leaders into the existing formal peace process teams that the government has created. Under the previous government led by President Thein Sein, the formal policy-making body of the Union Peace-Making Central Committee (UPCC)[i] comprised all senior leaders of various key ministries and branches of the government. Due to the broad and legitimate representation of all top leaders of the government, the UPCC was very effective in adopting and directing policies for the peace process on behalf of the government. The UPCC, as a policy-making body, also served as the unified voice of the government. Although the current government, led by the National League for Democracy (NLD), has formed the National Reconciliation and Peace Center (NRPC)[ii] as a policy-making body for the peace process, just like the UPCC, it unfortunately does not include the formal heads of state and key figures of the major government branches; the President, the two Vice-Presidents, and Senior General Min Aung Hlaing, the Commander-in-Chief of the Myanmar Armed Forces, who leads the country’s most powerful military institution. 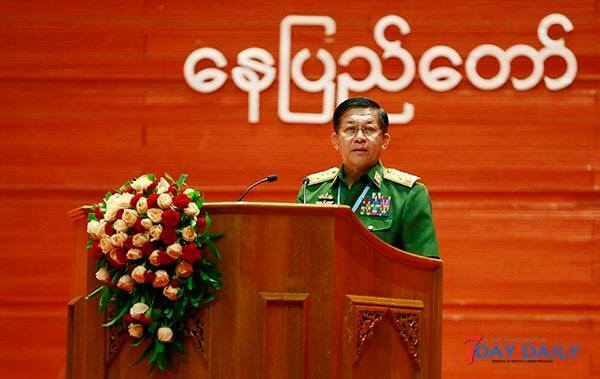 Since the Myanmar military has been one of the main stakeholders and key players, it has long been evident that any government policy that is not supported by the Commander-in-Chief of the Myanmar Armed Forces will simply not work. If the government were to include the Commander-in-Chief in its policy-making body, State Counsellor Daw Aung San Suu Kyi and Senior General Min Aung Hlaing could have “a shared platform” for regular interactions between the two that would deepen cooperation between the government and the Myanmar military, which is necessary for the success of both the peace process and the overall democratic reform agenda. With regard to the prominent figures with formal political power, it can be argued that the exclusion of Senior General Min Aung Hlaing from the policy-making body is one of the main strategic blunders that the current government has made. Sooner or later, it is advisable for State Counsellor Daw Aung San Suu Kyi and her government to restructure its NRPC or create an alternative body to include the Commander-in-Chief. With the lack of substantive constitutional amendment to the 2008 Constitution, Myanmar is still largely under the draconian control of the military. There is no such thing as civilian democratic control over its armed forces, as in a normal democratic country. Until and unless a democratic principle of civilian supremacy over armed forces is enshrined in the constitution, it would be beneficial for any government to involve the Commander-in-Chief in their formal policy-making body in their efforts to reform. It is also apparent that the exclusion of the Commander-in-Chief has contributed to the growing gap and the lack of strong cooperation between the NLD-led government and the military. The lack of cohesion is clear, since a government negotiation team between the government and military has created another layer of complication/ambiguity for the ethnic armed organizations (EAOs), which have been complaining that they seem to be dealing with two different governments; one led by the NLD government and another led by the military. The second weakness of the current government peace process team is a lack of clear division of roles and responsibilities with a clear mandate for the members of its peace committees and the failure to delegate responsibility. 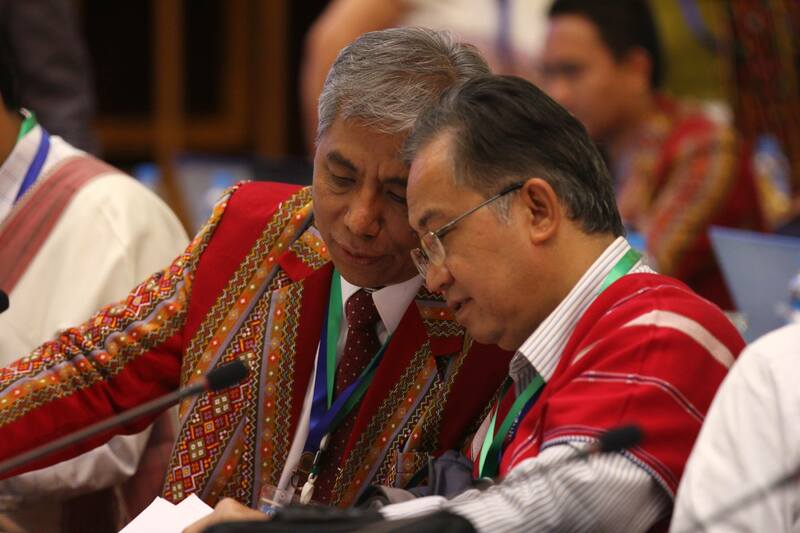 This is the case for Dr. Tin Myo Win, who is the government’s chief negotiator as well as Chairman of the Peace Commission (PC), and Minister U Kyaw Tint Shwe, who is a Union Minister for the State Counsellor Office as well as Vice-Chairman 1 of the NRPC. Both are of course two of the most important figures who lead the implementation of the government’s overall peace process effort. The problem is that it is not clear which of the two has been given a more central role of leadership by Daw Aung San Suu Kyi. As a result, people in the peace process, especially their counterparts, are confused and do not know if they should deal with Dr. Tin Myo Win or Minister U Kyaw Tint Shwe. Some even wonder whether these two have any decision-making power and ability to negotiate at all. The two of them often act simply like a messenger to deliver the messages of State Counsellor as opposed to trying to negotiate. During the previous government, President Thein Sein appointed Minister U Aung Min as his chief negotiator, who was the principal actor in the peace process from the government’s side. Everyone knew that Minister U Aung Min had been given full responsibility for leading the peace process and had the full mandate of the President. If there were any questions about the government’s plan for the peace process, everyone talked to chief negotiator U Aung Min. It was obvious that Minister U Aung Min was the one who led the government’s negotiating team. It is worth mentioning here that the chain of command between President Thein Sein and U Aung Min was quite clear to everyone. With Dr. Tin Myo Win as the current government chief negotiator, everyone knows that he does not have the same level of negotiation power or mandate that Minister U Aung Min had during the previous government. 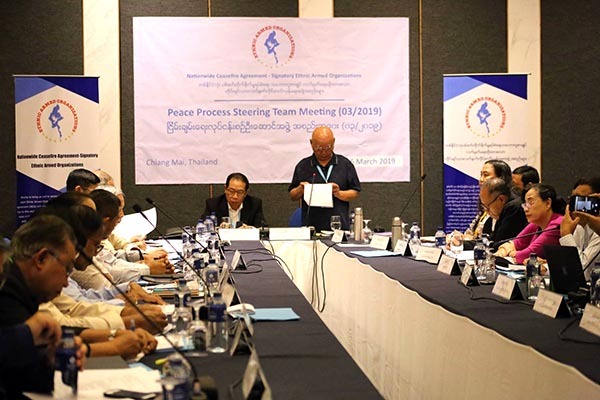 Not just Dr. Tin Myo Win, also the members of the Peace Commission who do all the negotiations work with the ethnic armed organizations that have not signed the Nationwide Ceasefire Agreement (NCA), have not been given a strong mandate to negotiate and decide. What they have done so far is simply just a meeting to exchange their views to keep the process alive, and they are not doing “actual negotiations”. That is why the Peace Commission has not been effective in leading the negotiation efforts with the non-signatories of EAOs so far. Moving forward, the Peace Commission and its team must be given stronger mandates. The Peace Commission must also have sufficient human resources; more competent people with both political analytical skills and technical know-how must be appointed to the Peace Commission to carry out the government policies and effectively support the Peace Commission team. The current government has only one year left before the general elections in 2020. It now appears that it is almost unrealistic to expect substantial outcomes from the peace process, with the same group of people doing the same thing all over again. Unless State Counsellor Daw Aung San Suu Kyi herself will play a more central and proactive role in direct negotiations with other stakeholders, whether on federal principles or the signing of the NCA with non-signatories, she must reform her peace architecture and reshuffle its members where necessary. Once the necessary reforms have been implemented, all committees must have sufficient resources. If the previous government had 50 people working on the peace process, the NLD-led government needs to double it to 100 people, simply because the previous government mainly dealt with ceasefire matters, while the current government does both “ceasefire negotiations and political dialogue”. Most importantly, as long as the most powerful man, Senior General Min Aung Hlaing, is not part of the formal peace process architecture, it will not be easy to make substantive progress from political dialogue to achieving peace.